Romans | The Old Adam Lives! As a Christian what excites you about the Church? It’s a good question to ponder. As you do so, let me tell you what excites me. First, I am gripped by the message of the Church. “For God so loved the world that He gave His only-begotten Son, that whoever believes in Him might not perish but have everlasting life.” The Christian message is the grand story of God’s love, seeking to rescue His lost and fallen family from the power of the enemy. At the center of it all is Jesus, in whose life, death and resurrection God has worked this miracle of our salvation by His sheer grace and mercy. For some, this story is a fanciful tale, easily discarded. For people of faith, it is life and salvation and is non-negotiable. Second, I am awed by the scope of the church. Jesus said, “I have sheep that are not of this fold.” Across the world and across the generations the Church has taken root among virtually every people. The multiplicity of denominations and traditions can be challenging, even troubling. Some Christians are so preoccupied with this challenge, and have doctrinally defined the church so narrowly, they are the only ones in their Church. Others, rather disingenuously, call themselves ‘non-denominational’ in an effort to minimize differences, as if doctrine is not important. But God has made us this human family so that we are all unique, right down to our fingertips. And while family life can be challenging and troubling, that does not make you any less a member of the family. In some mysterious way, by the power of the Holy Spirit given in baptism, Christians share in the fellowship of the “one, Holy, Catholic and apostolic Church”. Finally, I am humbled by the unity in the midst of the diversity of the Church. This is not to say unity of doctrine, though doctrine matters greatly. 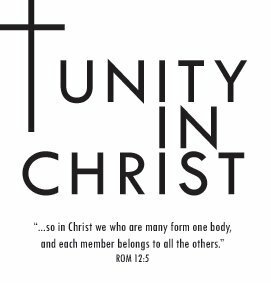 Nor by this do I mean unity in worship. The stately liturgy of the Orthodoxy, the exuberance of the Pentecostals and the ordered worship of many Lutherans, along with many other forms, are all part of the Church’s worship. What is truly humbling for me is the knowledge that Christ is the mysterious center of the Church’s life. He has chosen us, we have not chosen Him. When Christian people gather around the Word and sacraments it is not our traditions, shared interests or the color of our skin that unite us, it is Jesus Christ Himself. As I reflect on the life of the Church, I find it helpful to keep these three things in mind. I trust you will find them helpful also. From Pastor Mark’s Daily Devotional blog. This young woman is not alone in her assessment. Strange at may seem to those of us who have been nurtured in a church where grace is central, many Christians are suspicious of reliance on grace. One Christian has gone so far as to call the Lutheran Church a “grace cult”. When Paul wrote the Christians in Rome, whom he had never met, he anticipated their objections to his message of grace when he wrote, “What shall we say? That we sin all the more so grace will abound all the more”? Paul must have run into this question a thousand times. Paul knew full well that grace seems easy and bland, a cop out, only to those who do not fully appreciate the gravity of sin, who have not seriously tried to meet the demands of God’s law. God does not grade on the curve. Have you tried, really tried to love God with all your heart and soul and mind and strength and you neighbor as yourself? How about striving for righteousnes, purity of heart? Paul did and so did Martin Luther. And what happened? They pursued a ‘godly life’ with such fervor that it drove them to the wall. 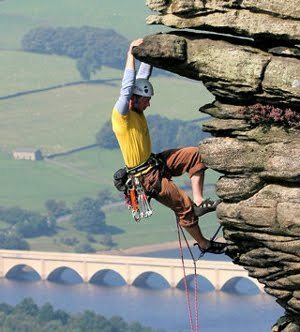 They came to see the towering righteousness of God as an impossible mountain to climb. Now, it is “… through Him that we obtain access to this grace in which we stand.” Grace has not come to us at some bargain basement price. It is not a cheap remedy for a bland illness. Grace has come through Him, through the crucified and risen Jesus. Blood was shed. A death occurred. A funeral took place. Wonderul, beautiful Jesus was cast away like so much unwanted trash. That is the cost of grace. 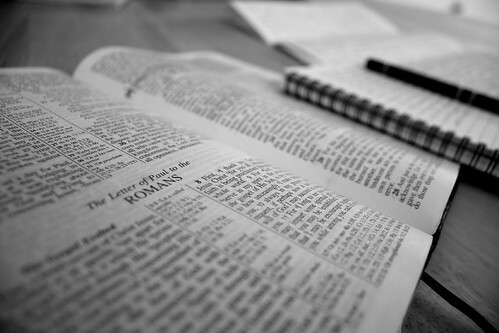 Next week, Pastor Mark will start an in-depth Bible study on the Book of Romans. If all goes well, we will record these classes and put them up on this site for your edification. Thanks to flickr and kfergos, for the photo.